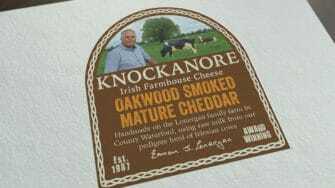 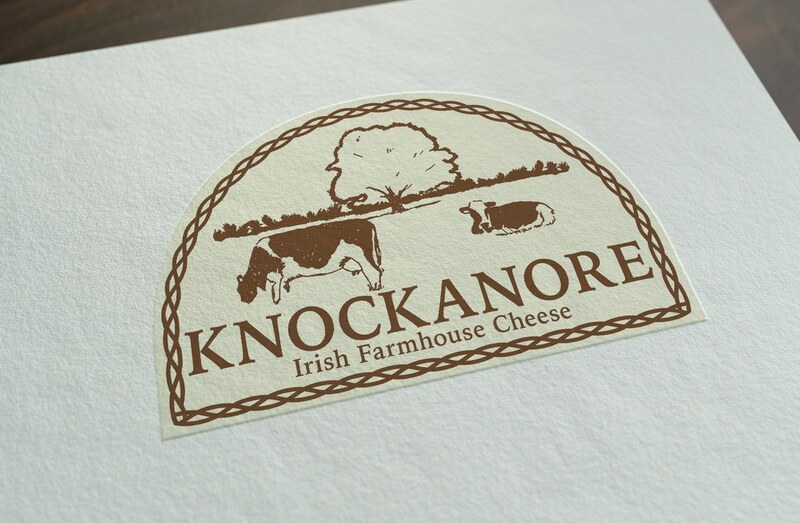 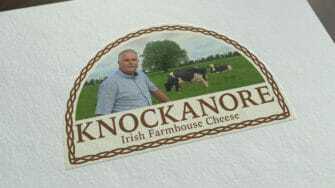 Knockanore Cheese is an award-winning farmhouse cheese. 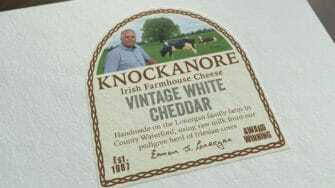 It is handmade on the Lonergan farm in county Waterford using raw milk from their pedigree herd of Friesian cows. They got in touch with us a few months ago having seen the work we’d done for other artisan food and drink producers. While customers were familiar with their brand and liked their product, recent feedback suggested that people found their packaging a little dated. 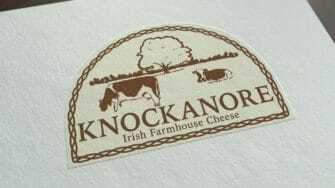 With that in mind, they asked us to re-design the logo, labels and website to make it more contemporary and consumer friendly. 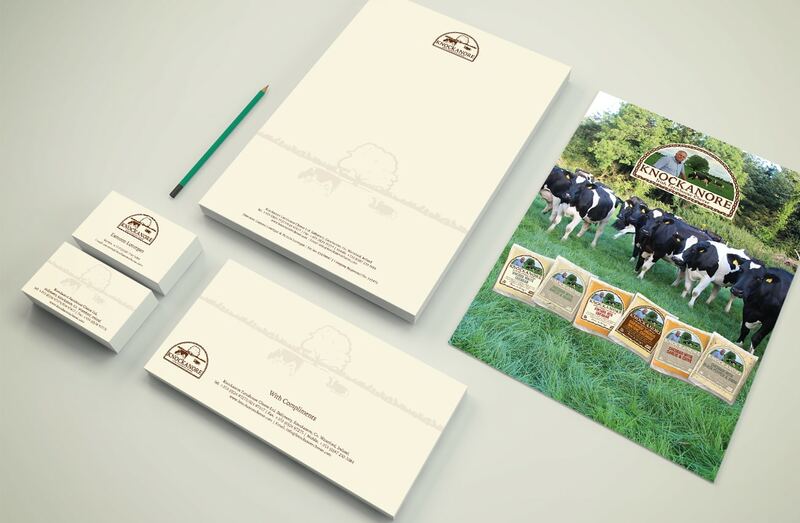 The first part of this project was to refresh their brand identity and brand story. 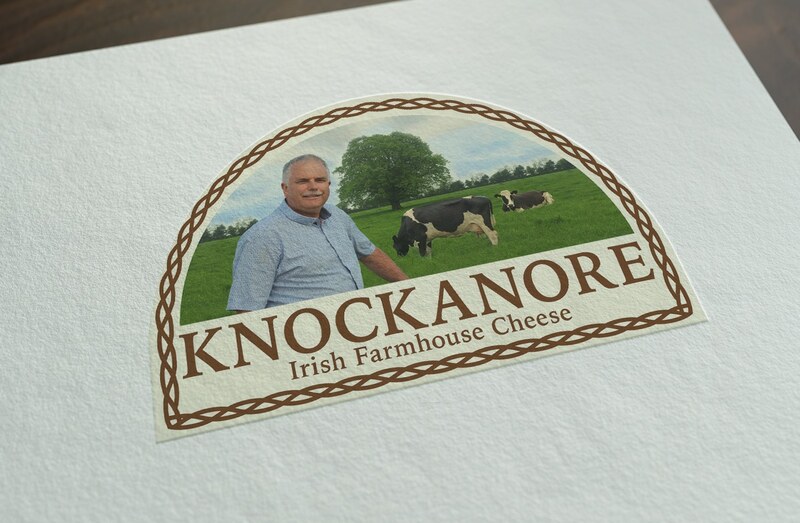 Fortunately, they already had the key ingredients – an excellent product, rich history, great reputation – we just needed to blend them together using the right wording and evocative imagery. The new logo and label which you see below shows Eamonn (the proud owner) at home on his farm. 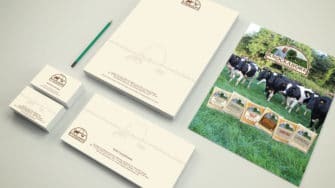 It was inspired by his account of a daily routine which involves taking an early morning walk with his beloved dogs down to the fields, past the big tree, to see his precious cows. 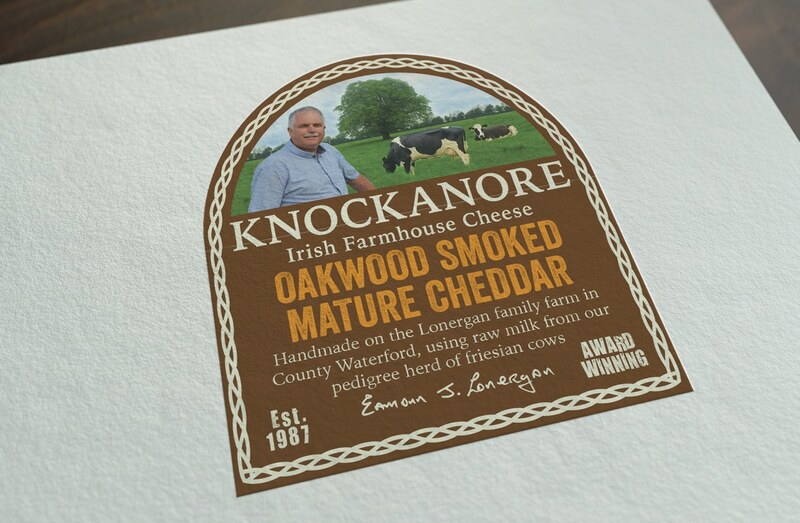 We loved the way he told us that story and felt it would be great if we could capture it in a visual snapshot. 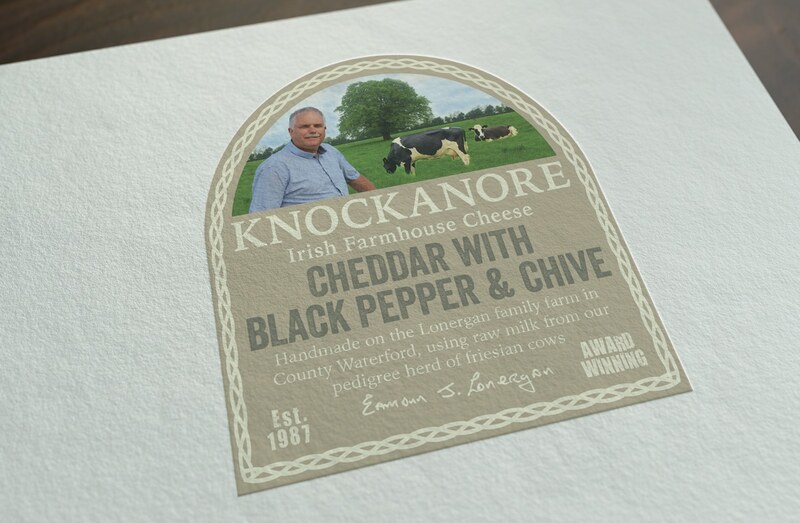 It was great to be able to work with a local company for this project. 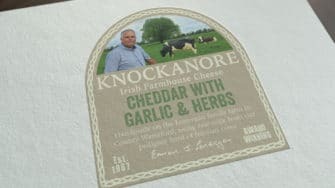 The team in Passion, along with ourselves, put a lot of effort into the website to convey the story of our farm and cheese without the need for spin! 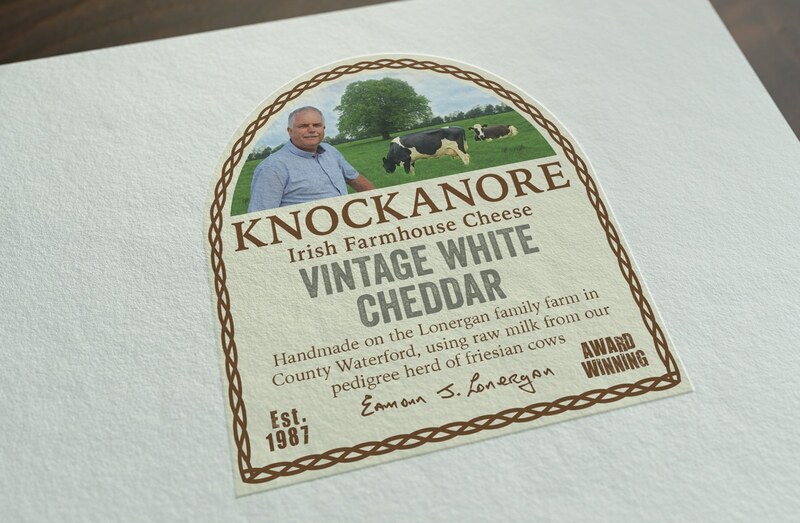 We're delighted with results and look forward to seeing our new labels on the supermarket shelves in the coming months.